When the popular Pinehurst Concours d’Elegance ended in 2017 after a five-year run, several car enthusiasts felt something was needed to fill that void. 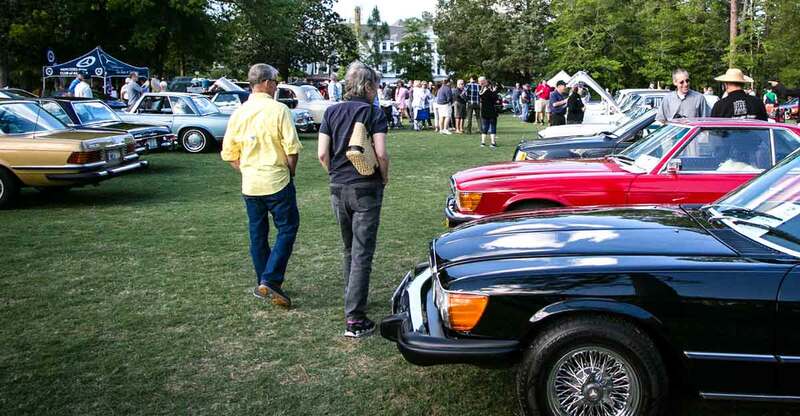 In 2018, Porsche Club of America member, Marvin Waters, and Mercedes Benz Club of America members, Steve Redwine and Bill Faison stepped in to create the Sandhills Motoring Festival, a 3-day event held over Memorial Day Weekend. Activities culminate on Sunday, May 26, with the “Concours in the Village” and Awards Dinner. As was the case with the Concours, the Sandhills Motoring Festival donates all of its proceeds to the Sandhills Community College Foundation to fund scholarships for students in automotive technologies program. Last year, the festival donated $5,000, Waters told the council.